Looking for a new kit? Here are five amazing options. Do you know what this year’s best vape kits are? 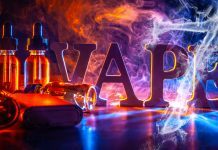 Whether you’re just getting started vaping or looking to upgrade, you should know that not all vape kits are created equal. Each year, vaping technology advances just a bit. Are you still using an outdated kit? 2018 is offering some fantastic, affordable kits that offer the latest vaping experience. 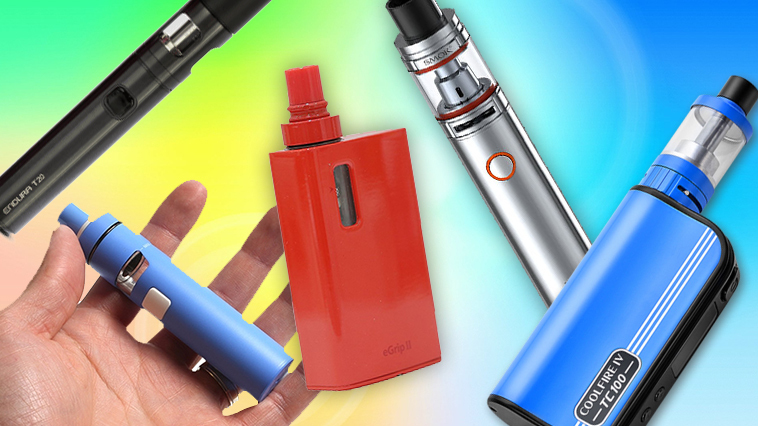 In this guide, we’ll walk you through our ten favorite vape kits of the year. Keep reading before you make your choice! If you’re a new vaper, this is exactly the kit you need. When you’re just starting out, the advanced kits and vape mods on the market can seem way too complicated. This might make you put off getting started altogether. What you need is a solid starter kit that’s not intimidating – and the Endura T20 is perfect. One issue many new vapers have is that the draw feels loose when you’re used to smoking cigarettes instead. Cigarettes require a “mouth-to-lung” inhale, meaning that your first draw the smoke into your mouth, then pull it down into your lungs. However, not all vapes are designed to provide a similar experience. Most vapes have a looser draw, giving a direct-to-lung smoking experience that bypasses the mouth step, and can take some getting used to. If you’re a long-term vaper, you’ll have no issue with this. But when you’re starting out, a tighter draw can feel more comfortable, because it’s more like what you’re used to. The Endura is also really easy to use, thanks to a top-filling tank design and a battery that lasts all day. The kit comes with the device, atomizer head, tank, replacement drip tips, spare O-rings, and a charging cord. This is another one of the year’s best choices for new vapers. This vape kit walks the line between vape pen and mod, offering an easy-to-use device that does what you need while still being portable. With a top-filling tank and a button on the side of the device, the Smok Stick V8 Big Baby Beast works like a standard vape pen. However, this kit is a little different: it’s made for sub-ohm vaping, and offers a higher level of performance. Sub-ohm vaping means vaping when the device has an atomizer coil with a resistance under one ohm. This type of vaping is known for giving big, flavorful clouds, so it’s highly sought after. A single charge on the 3,000 mAh battery will keep you going all day long. The easy top-filling tank comes with .15 and .25 ohm coils, giving you clear, delicious flavor and plenty of vapor with any e-juice you choose. In the whole kit, you get the tank, battery, coils, charging cord, O-rings, other spare parts, and an instruction manual. Even if you’ve been vaping for a while, you might find this kit to be a great upgrade from other vape kits you’ve tried. Check out our review of the Big Baby Beast here. For something a little different from the other vape kits here, you’ll want to pick up this “all-in-one” mod. In the eGrip II, the battery and tank are in a singular unit, making this one of the best kits of the year. If you’re just now transitioning away from smoking, or looking for an upgrade, this is a great all-around device. It’s not the newest kit on the market, but it’s still highly competitive. The eGrip II looks like many other box mods, but has a built-in 3.5 ml tank that you fill by removing the mouthpiece. You can screw in the coils underneath the mouthpiece, making this one of the most user-friendly kits around. The .25-ohm coil that it comes with is made for direct-to-lung vaping, while the 1.5-ohm coil offers a mouth-to-lung experience if that’s your preference. The kit includes the device, two coils plus an RBA head, drip tip, charging cord, and an adaptor for other tanks, making this one of the most versatile vape kits on this list. The Innokin Coolfire IV is one of our favorite vape mods, thanks to its sleek design and powerful output. The mod’s curved shape is designed to be held comfortably while you vape, and its 100 W of power is plenty to give you nicely sized clouds. With a 3,300 battery, you can go all day without needing a recharge. In this starter kit, you get a 3 ml sub-ohm tank that comes with two coils, each with .5 ohms of resistance. The kit also includes a charging cord, drip tip, vape band, and replacement O-rings. One of our favorite things about this kit? It’s one of the most affordable high-quality mods out there. This kit is similar to the eGrip II in that it offers an all-in-one package for your e-cigarette needs. However, this kit is made to be even more beginner-friendly, with a vape-pen-style design that many people find really easy to use. The eGo AIO D22 XL has a mouthpiece that you can unscrew to get to the 3.5 ml tank, which is found in the body of the device. The 2,300 mAh battery will easily last through a whole day of vaping. In this kit, you’ll find two .6-ohm coils, which are ideal for the mouth-to-lung vaping experience most new vapers seek. Since it also has an adjustable airflow, you can really customize this device to fit your specific preferences. If you turn the airflow down, you’ll get the perfect mouth-to-lung feel, but if you turn it back up you can get a higher vapor production. When it’s time to fill up, this is one of the easiest devices to use: just unscrew the top cap, pour your e-juice into the opening, and screw the atomizer heads underneath the top. No matter what kind of vaper you are, we know you’ll love one or more of the vape kits on this list. This year’s top kits really feature something for everyone. When you’re just getting started, we know you might have some questions after you pick up your new kit. That’s why we’ve put together some easy-to-use tutorials for beginners – check them out here. Like what you just read? Consider clicking one of the affiliate links in this post or using the Deals page on the site. You get the chance to buy products (often at a discount) from great companies, and we get a small commission when you use these links — which helps keep the lights on and pay for more great content. It’s a win-win! Next articleVaping has Helped How Many British Smokers Quit?